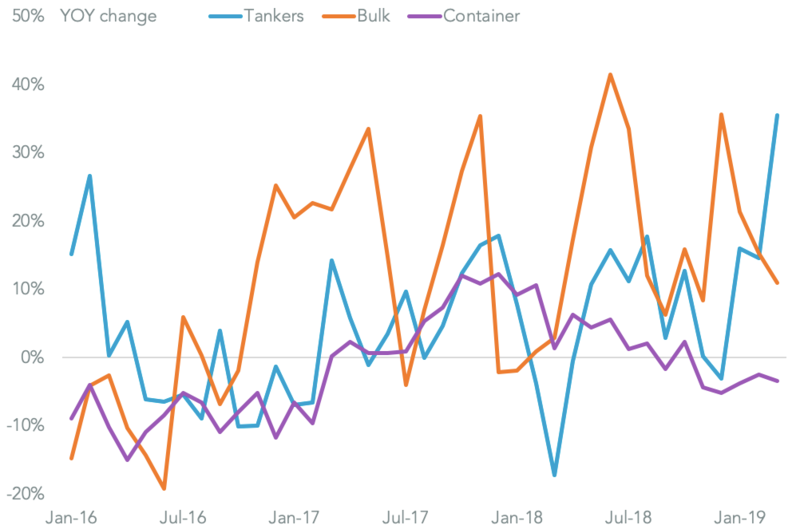 Container shipping rates had a tough end to February with charges for routes out of China having fallen by 4.6% versus the end of January, Panjiva analysis of Shanghai Shipping Exchange data shows. That’s not unusual for the post Lunar New Year period when spot rates can typically decline for as much as seven weeks. 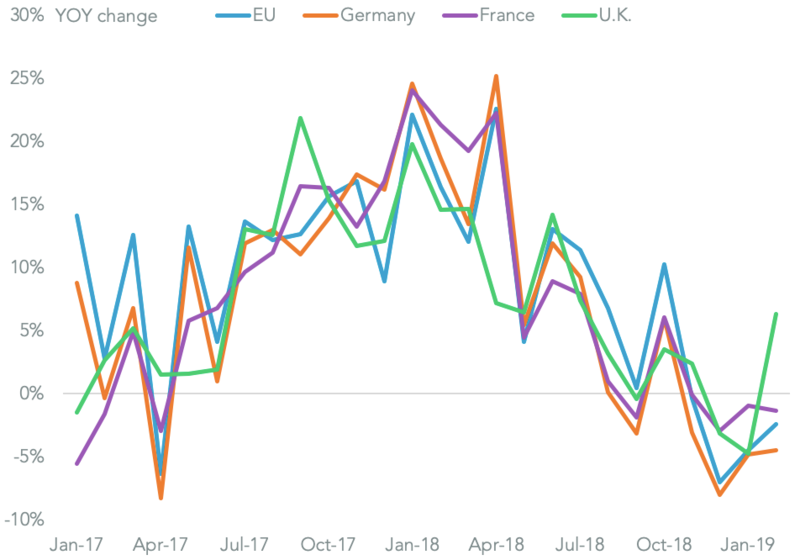 The drop was mostly down to lower rates on routes to Europe, which fell 5.6%, including an 8.6% slump in rates to the Mediterranean. All the major routes saw a decline including those to the U.S. West Coast which fell 3.3%. 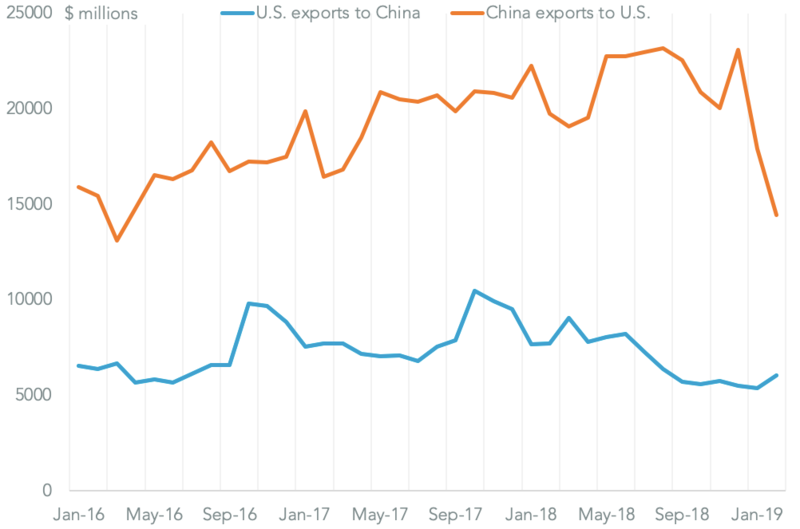 The latter may also reflect growing evidence of a successful conclusion to U.S.-China trade talks, as outlined in Panjiva research of Mar. 4, which increases the likelihood of business-as-usual shipping. 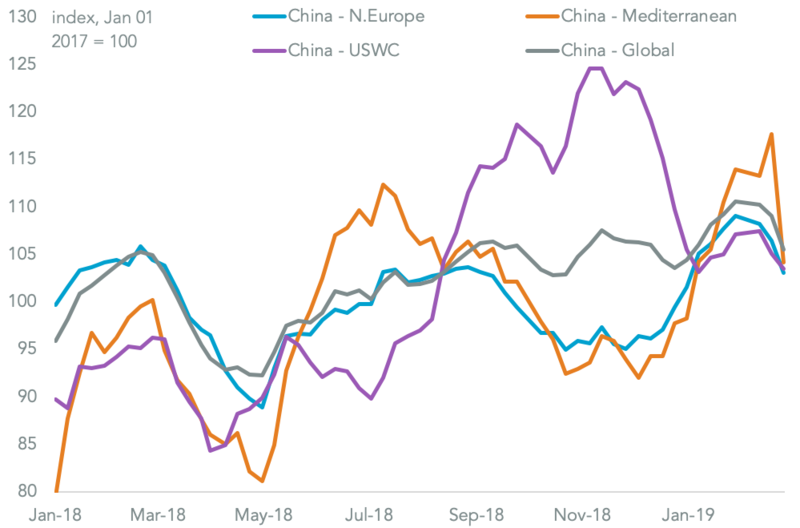 The decline in rates has also come as further evidence of a trade activity slowdown in Asia has emerged. At the same time the container-liners’ costs have been increasing. 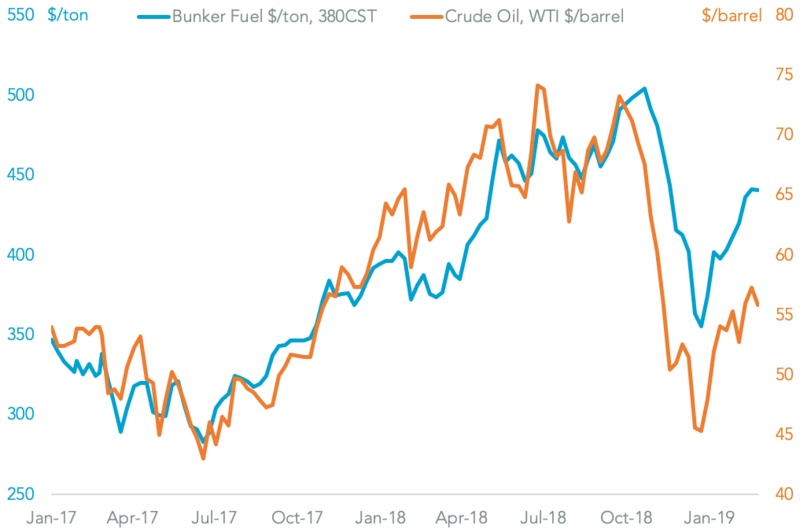 Global average bunker fuel prices increased by 6.7% during the month, S&P Global Platts data shows, as the oil-derivative caught up with earlier increases in crude oil prices. That’s led several of the shipping companies, including Hapag-Lloyd and MSC to increase their rates. 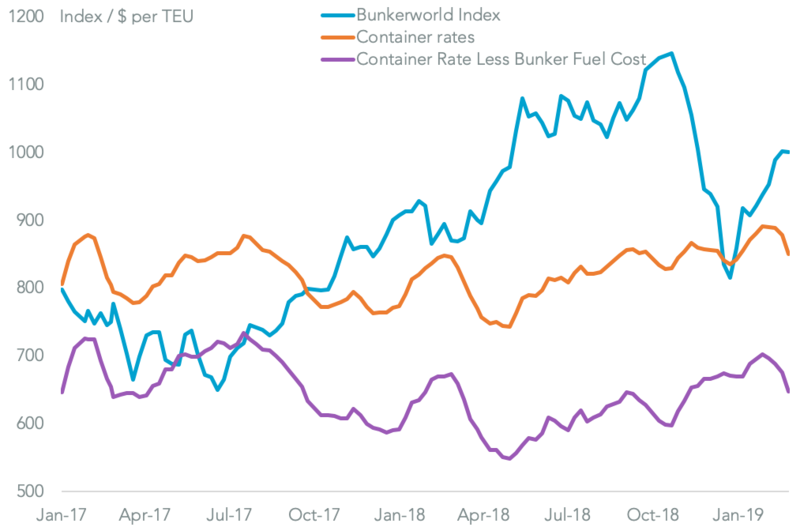 As a result of the divergent movements of shipping rates and fuel prices the gross margin per container has declined by 7.7% during the month to their lowest since Nov. 9. 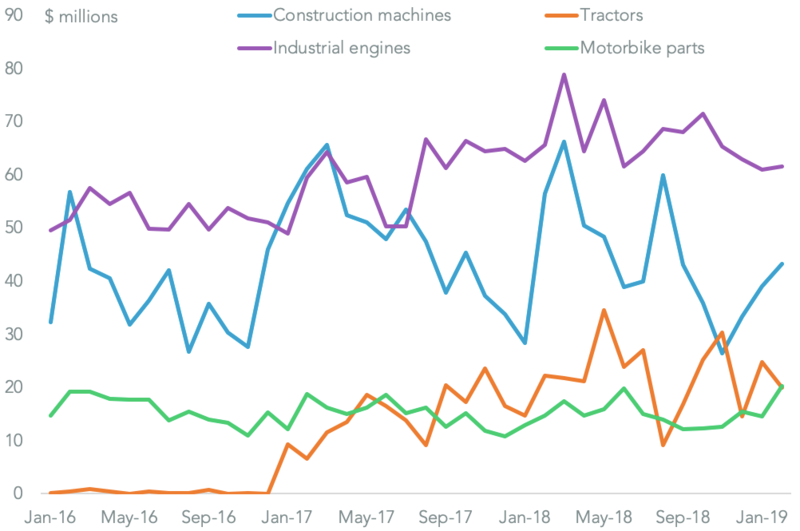 The potential impact on the container-lines’ financials should not be overstated though given the month-average decline was just 1.2% and February is typically the lowest-volume month for the year. Indeed, with gross margins having seen a 5.4% increase quarter-on-quarter on average and by 7.0% year-over-year there is still some hope that the profitability of liners including CMA-CGM and Hapag-Lloyd may see an improvement for the quarter.